The first prize in the US Powerball reached the incredible amount of $768.4 million on March 27th, 2019 and it was won by a single lottery player in Wisconsin, who is now lottery royalty. The winning numbers for this record-breaking pot were 16-20-37-44-62/12. Now, the big winner is expected to come forward and collect the jackpot. The enormous Powerball jackpot of March 27th became an important part of lottery history because it is the third largest lottery prize ever awarded. It is also the second largest jackpot in the history of the US Powerball. 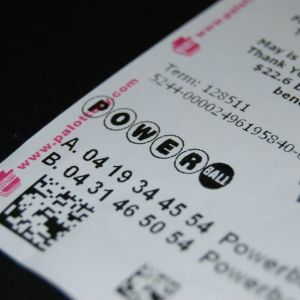 While it was expected to make the charts, the prize was initially announced at $750 million. Then, due to higher ticket sales than expected, the prize was boosted to $768.4 million. This made it larger than the $758 million jackpot of 2017, won by Mavis Wanczyk. She also used to be Powerball biggest individual winner, but now, the Wisconsin winner puts her in second place. Globally, the new winner is the second largest, following the anonymous South Carolina jackpot winner who singlehandedly scooped the $1.53 billion Mega Millions jackpot. How Much Will the Wisconsin Winner Take Home? When the Wisconsin winner comes forward, he or she will have to choose between the two available payment methods. The annuity option guarantees the entire amount of $768.4 million, but paid out in 30 annual installments. The other option is the lump sum payout, which nets $477 million for this prize. Please note that there are also federal and state taxes due on the Powerball jackpot. All in all, the Wisconsin ticket-holder is in for a fortune! Will the Wisconsin Winner Have to Go Public? Whether or not lottery winners have the option to stay anonymous after they win depends on state laws and in Wisconsin, all lottery winners must come forward publicly to claim their prizes. While there is precedent in New Hampshire, where a lottery winner fought the state in order to keep her identity private, there is a high chance that the $768.4 million winner will go public. It remains to be seen when the Wisconsin winner comes forward to claim the prize, as well as the payout method he or she will opt for. Until then, the Powerball is hosting another draw this Saturday, March 30th and the pot will be worth $40 million! Put in your Powerball tickets online and participate in the world’s most exciting lottery! Fingers crossed!